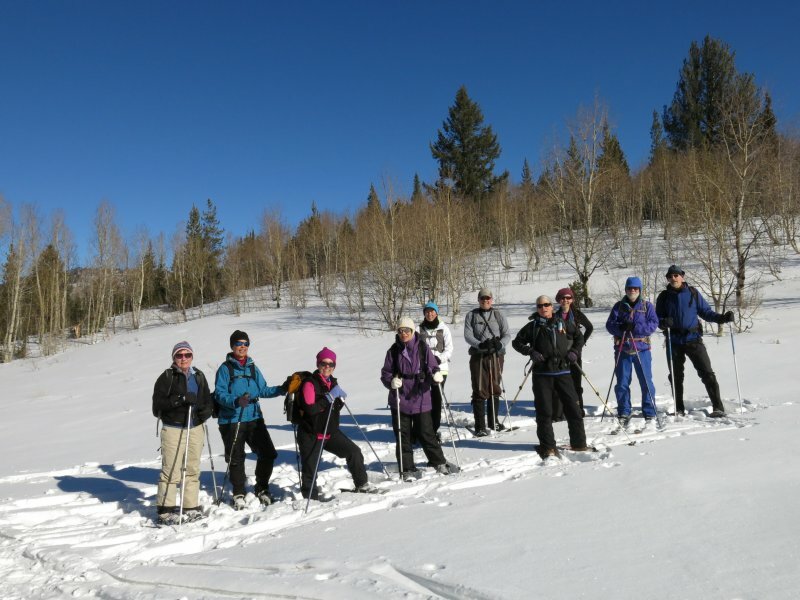 Led by Dan, eleven people joined this ski/snowshoe trip: Monika, Dave W., Dave P., Jane, Kathy, Jim, Alexi, Susan, Jeanne and Nikki. 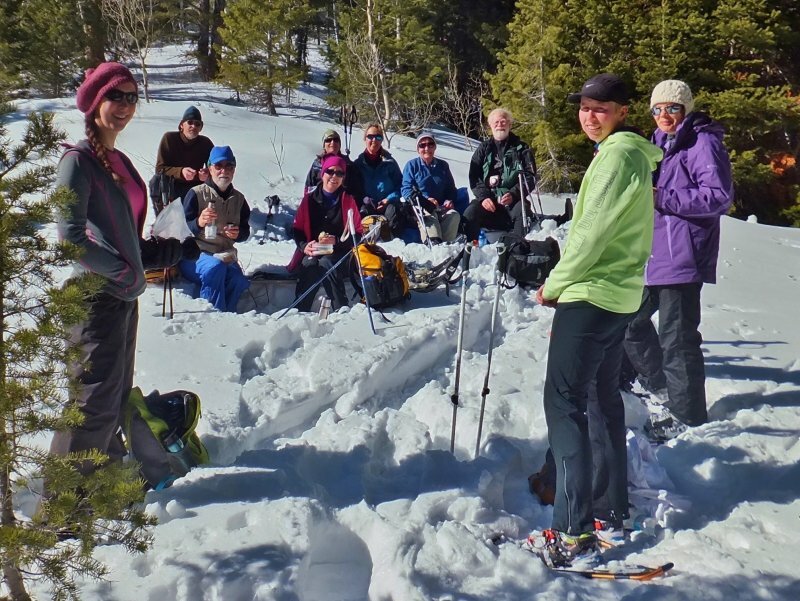 We met in Logan at 10:00, assembled into carpools and drove up Logan Canyon to the Beaver Junction Winter Trailhead. 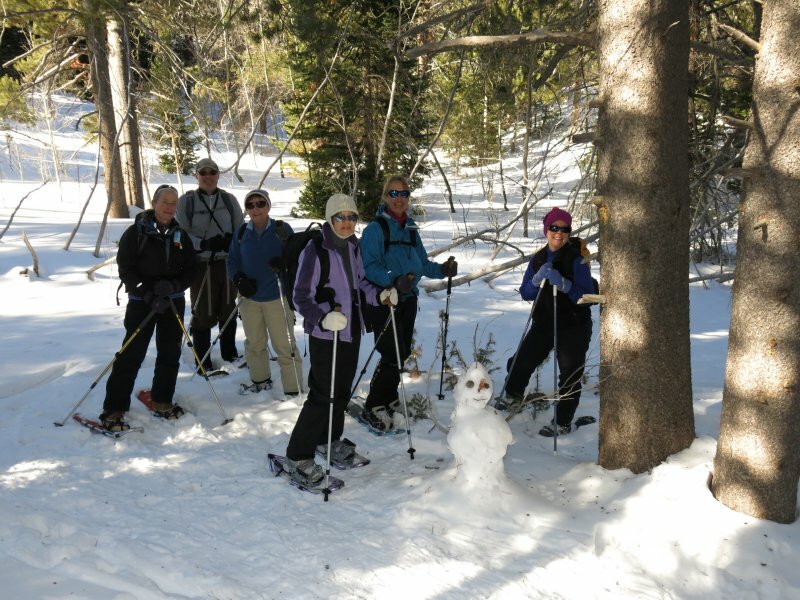 The "Daves" used skis with climbing skins and everyone else used snowshoes. The old snow of the track was well packed but the weather was sunny and fairly warm. 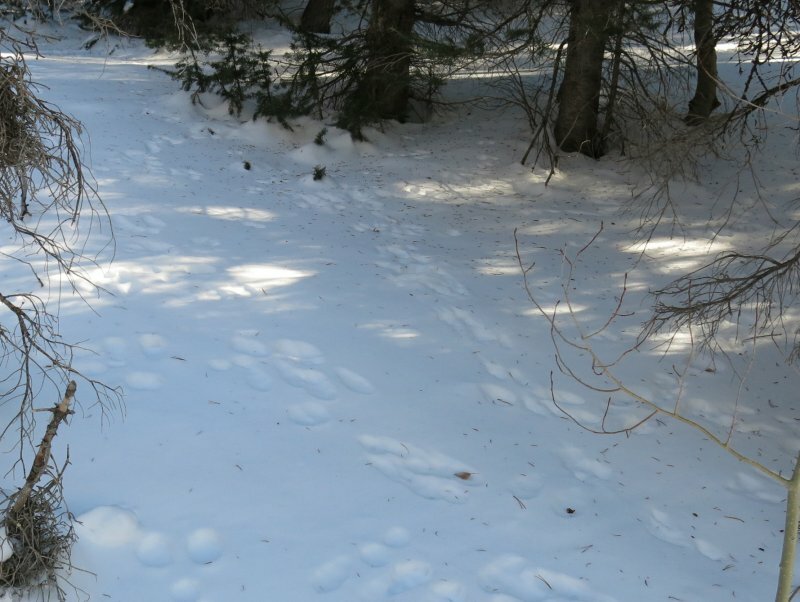 There were many animal tracks along the way. We even saw a snowshoe hare, something we seldom see. The group enjoyed lunch in a sunny spot and divided into two smaller groups for the rest of the trip. 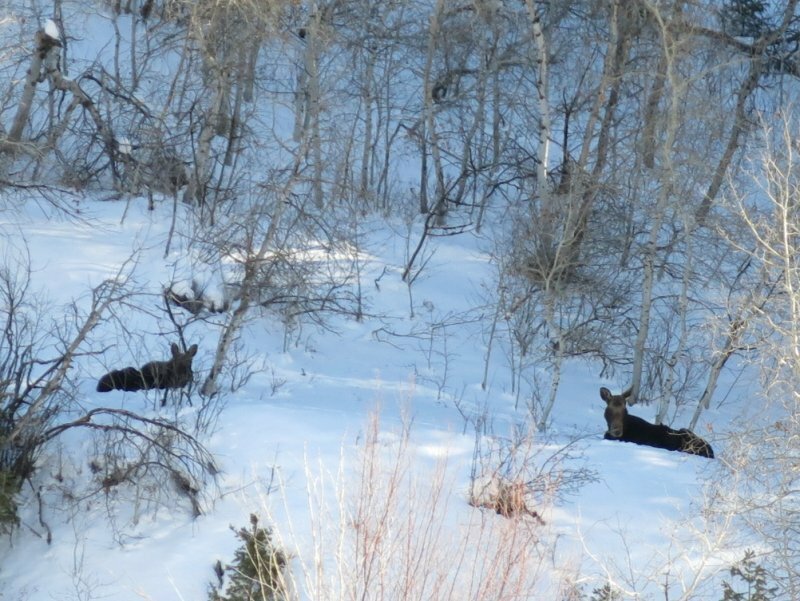 Six people returned to the trailhead and drove back to Logan, seeing a couple of moose along the way. 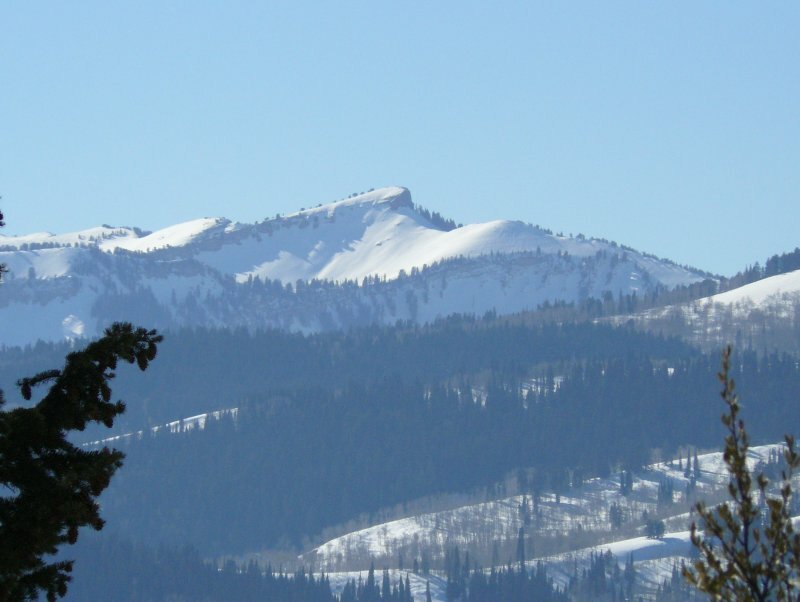 The five adventurous trekkers, Dan, Jim, Nikki, Monika and Alexi, climbed to the ridge between Logan Canyon and Stump Hollow. Here, they enjoyed great views of the surrounding terrain: Mt. Elmer, Logan Peak, Gog and Magog to the west and Beaver Mountain, North Fork of Amazon Hollow and the Swan Flat road to the north and east. 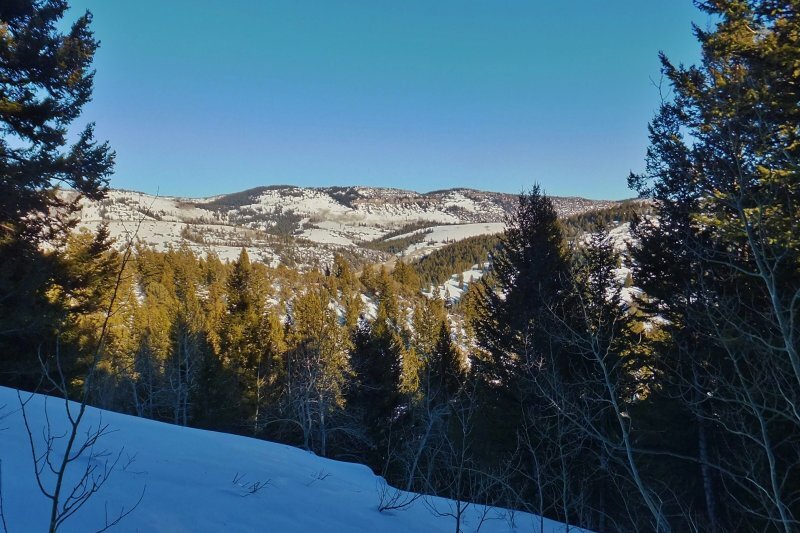 Along the way they encountered wet snow and old ski tracks as they continued north along the ridge and descended steeply back to the Stump Hollow trail. Our GPS track showed 3.4 miles and 580 feet of elevation for those who went back after lunch, and 5 miles with 990 feet of elevation for the others. Click here for a Google Maps aerial view of our route, or here for a Google Earth view.